Phan Van Anh Vu allegedly violated regulations while buying and selling public land in and around Da Nang. The Ministry of Public Security on Wednesday launched a criminal investigation into a real estate tycoon in Da Nang for "abuse of power in performance of official duties". Phan Van Anh Vu, together with a number of other individuals and organizations, is under scrutiny for the purchase and sale of public land in Da Nang and various other cities, according to the ministry. Phan Van Anh Vu in a photo taken in February 2015. Photo by VnExpress/Ngoc Truong. He is also under a separate criminal investigation for “deliberately disclosing State secrets” and tax evasion. Da Nang has frozen all his assets in the city pending the outcomes of the investigations. Vu, 43, is one of the biggest real estate tycoons in Da Nang. He is the chairman of three major property companies and a shareholder in a number of other projects in the city, usually considered the third most important in Vietnam after Hanoi and Ho Chi Minh City. 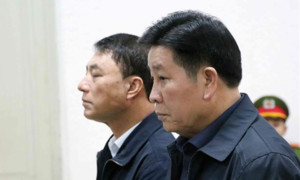 Last December, authorities conducted a search of Vu's house before issuing an international arrest warrant for him for “deliberately disclosing State secrets". He was detained in Singapore later that month for violating the country's immigration law, before being deported back to Vietnam where he was arrested upon arrival. Vu was first linked to land management issues in Da Nang in 2013 when the Government Inspectorate, the country's top watchdog, launched an inspection that found his companies responsible for multiple violations. However the city's government at that time immediately issued a response, dismissing the conclusions made by the Government Inspectorate as unfounded. 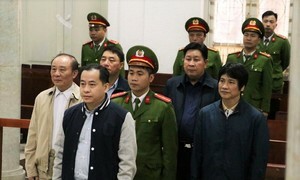 Dozens of Vietnamese officials and business figures have been arrested in a crackdown on corruption that is being spearheaded by Vietnam’s Communist Party leader Nguyen Phu Trong. The crackdown grabbed global headlines last year when former oil executive Trinh Xuan Thanh showed up in Vietnam after fleeing to Europe. Police said he turned himself in. 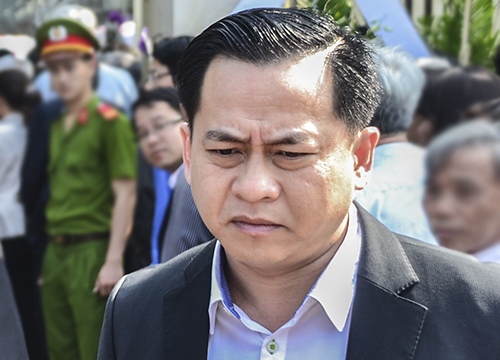 He received a life sentence for embezzlement at state-owned PetroVietnam's construction subsidiary at a landmark corruption trial last month, and a second life sentence for embezzlement at another trial that concluded earlier this month.